Are you ready to become one of nature's preferred automotive repairers? 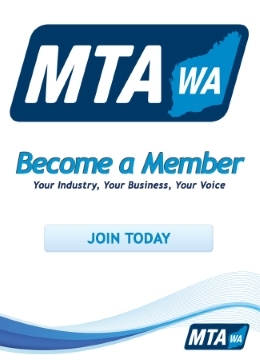 Green Stamp is an environmental management initiative developed by the Motor Trade Association of Western Australia (MTA WA), and assists businesses in reducing their impact on our precious environment. The Green Stamp program is designed to provide recognition to businesses who continuously strive to incorporate environmentally friendly business practices, endeavoring to achieve the best possible outcome for the environment. The program assists automotive businesses to incorporate processes and practices allowing them to dispose of their waste in an environmentally conscious manner. It also aims to assist businesses to become resource efficient and more environmentally sustainable. 1. Green Stamp Accreditation: Businesses demonstrate that they hold all relevant permits and licenses and are operating in a manner that indicates they have adopted a minimum number of sound environmental management practices into their daily operations. 2. Green Stamp Advantage Accreditation: Businesses demonstrate that they are continuously working on improving environmental outcomes and endeavouring to achieve the best possible outcome for the environment. This level requires businesses to develop and implement an Environmental Management System to help monitor and review their current practices and set objectives or targets for further improvement. Why Carry Out a Formal Audit? Understanding environmental and waste management processes. Minimising the use of energy and resources where possible. Sustainably storing, using and tracking resources that are used to minimise any impacts on the land, sea and air outside of the controlled workshop environment. Why Should I Be Environmentally Accredited? The industry is still often perceived as being significant polluters due to the obvious environmental impact many traditional practices continue to have. One of the Green Stamp objectives is to start changing that belief by showing businesses, consumers and stakeholders that workshops can include environmental considerations in their operations. An increasing concern for the environment by consumers has seen a shift in attitude and practice in the automotive repair industry, with consumer preference for environmentally friendly businesses quickly growing. All businesses in the WA automotive industry are required to abide by certain laws, regulations, policies and guidelines in order to comply with legislative environmental obligations. In some cases, breaking these laws is an offence that could carry serious penalties (ranging from an infringement notice up to a $1,000,000 penalty plus environmental clean-up costs) and/or imprisonment. The Green Stamp Accreditation is an excellent marketing tool for automotive businesses to prove to their customers their commitment to good environmental management and appeal to their environmental conscience, encouraging them to utilise the services of a Green Stamp Accredited business. Green Stamp provides accredited workshops with a competitive market advantage by positioning their business as clean, green and environmentally conscious. We provide you with a range of marketing material for you to promote your Green Stamp accredited business. To find out more about the Green Stamp Program contact MTA WA on 9233 9800 or email [email protected].